Recently I was struck by the utter perfection of “Bessie’s Blues,” the superb sermon on Coltrane’s Crescent. Is this the greatest 3.5 minutes of music ever recorded? That’s pointless question, but at any rate “Bessie’s Blues” is a rare Trane track that could have fit on a 78. Coltrane would help pioneer extended performances on LP but it’s also worth remembering that Trane learned his Pres, Bird, and Dexter from single short sides of shellac. 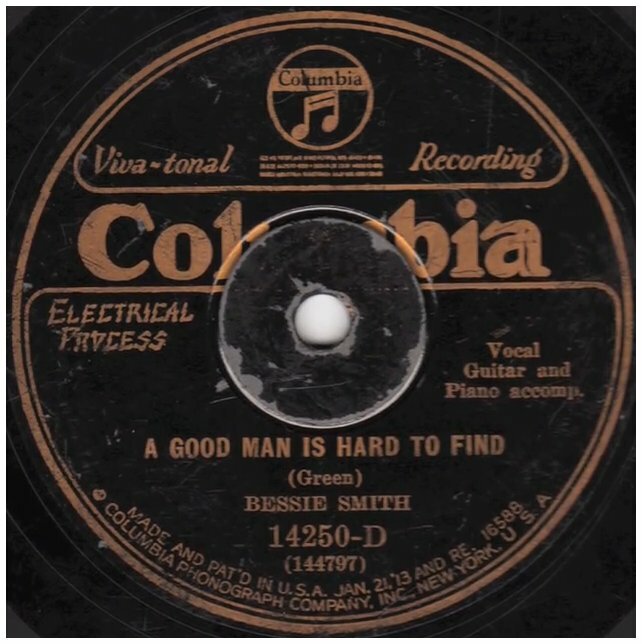 Perhaps “Bessie’s Blues” is a tribute to a bygone era: Coltrane scholar Lewis Porter suspects that “Bessie” refers to Bessie Smith, who of course only recorded 78’s. Speculation aside, there’s no doubt “Bessie’s Blues” has it all in a short span. His quartet was at a rarified peak, with McCoy Tyner, Jimmy Garrison, and Elvin Jones handling rhythm and harmony in a phenomenally sophisticated manner while still staying utterly traditional. The older I get the more I begin to peep the idiosyncratic yet folkloric genius of McCoy Tyner. It’s not just his soloing, but also his comping. “But Not For Me” Ahmad Jamal Incandescent trio with Israel Crosby and Vernel Fournier. I told Billy Hart that “But Not for Me” was less than 3.5 and he said, “That’s not possible: there’s so much there!” Good point. They even have time to modulate, for Christ’s sake. “Riot” Miles Davis The second quintet explains exactly what they are up to in this brief missive penned by Herbie Hancock. Miles, Wayne Shorter, and Herbie all solo freely on the kaleidoscopic diminished scale while Ron Carter and Tony Williams roil and rumble beneath. Again, this is Stryker’s list, thanks Mark. Well, if LPs are really coming back, I suppose the next step would be to press two 78’s. The first one would be “But Not for Me” and “Three Little Words,” the second would be “Bessie’s Blues” and “Riot.” I would be curious to listen! Last weekend Will Robin wrote a valuable article for The New York Times about the influence of Thomas Adès. 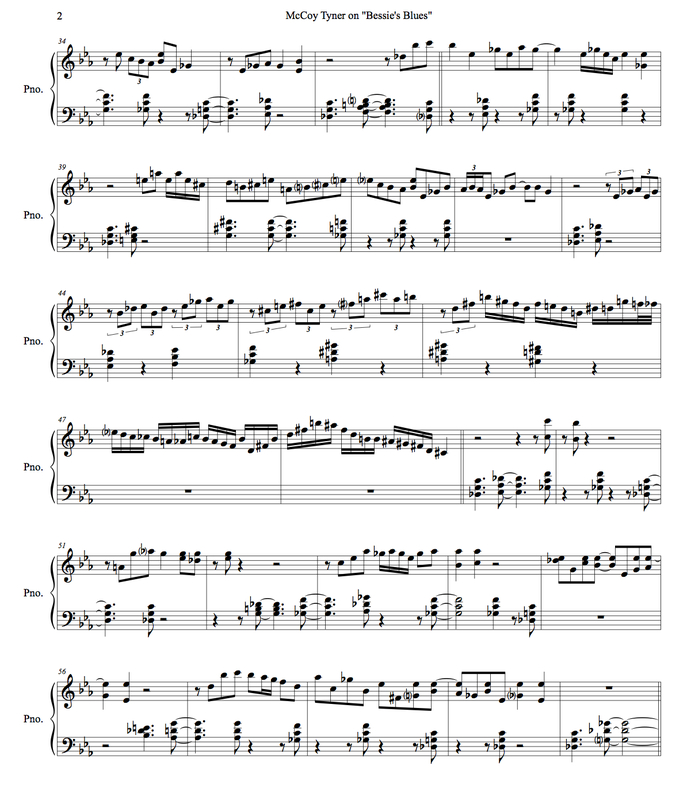 While citing Adés’s achievements is worthy enough, Robin also provides a listening list of current compositions by younger American composers. Brilliant. I went through a real Adés phase myself when those first EMI records started appearing around the turn of the century. There’s no doubt in my mind he’s the great composer of the era. One of these days I need to survey his canon, perhaps if I’m lucky even interview him. Adés’s surreal (yet still dancing!) rhythms are special partly because he can play them himself. There’s no better example of piano virtuosity than his own recording of the sublime Traced Overhead, which is now a YouTube of scrolling sight and sound. I don’t know what Adés knows of jazz. However, in Concerto Conciso he pulled off a pretty goddamn convincing interpretation of clunky swing. 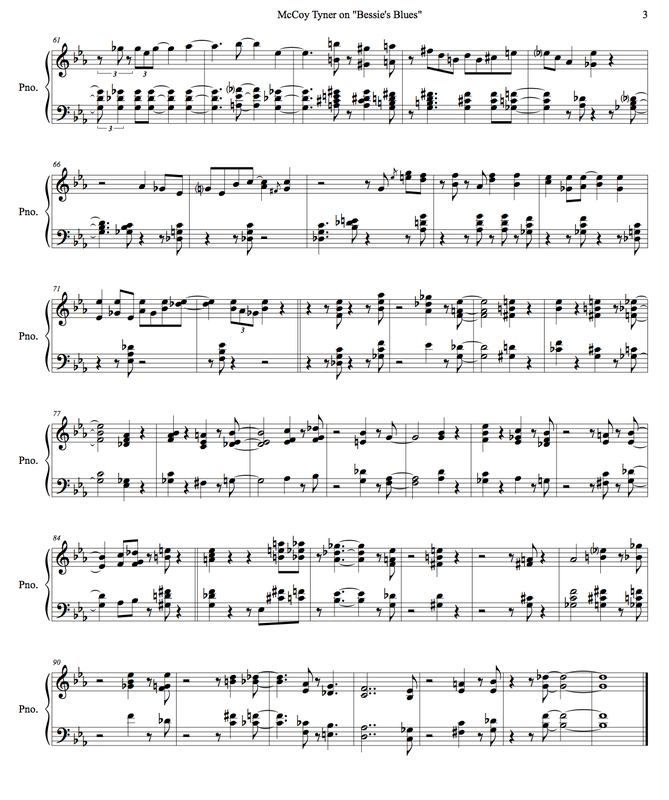 For the initial piano thunks — and indeed the “beat” that goes through the entire first movement — it sounds like a normal binary 2 or 4. 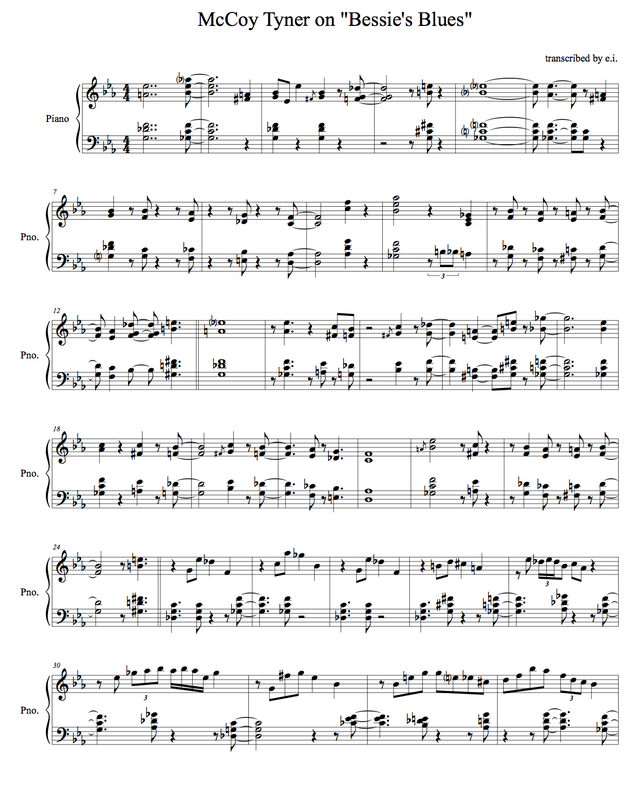 However, a glance at the score gives away the secret: that “beat” is half-note triplets, an agent that works against eighths in the chamber orchestra just like Elvin Jones on “Bessie’s Blues.” There’s even notated drum set that lurches into full activity towards the end. The drummer doesn’t sound like Elvin, of course, but it is astonishingly not so far off from Paul Motian. Bravo. The future awaits.